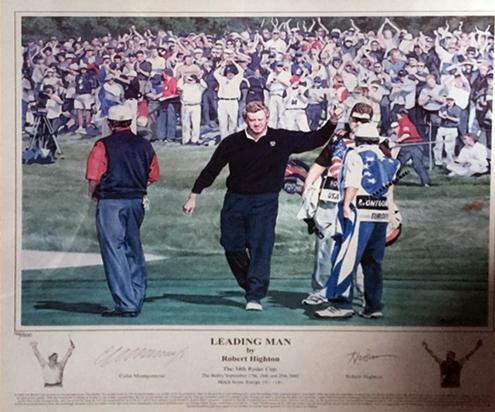 COLIN MONTGOMERIE signed "Leading Man" Limited Edition Print by Artist Robert Highton (also signed) commemorating the 2005 Ryder Cup victory at The Belfry. 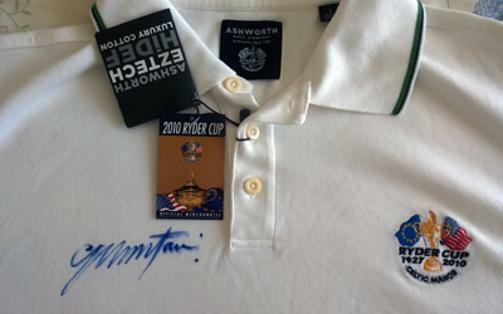 UK Collection only - Contact Us for details. 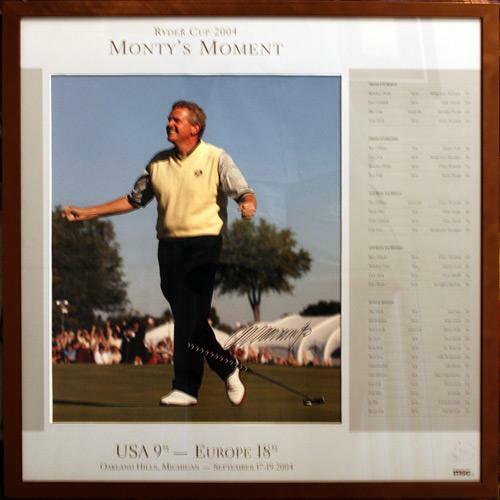 COLIN MONTGOMERIE signed "Monty's Moment" Limited Edition Print by Artist (also signed) commemorating the 2004 Ryder Cup victory at Oakland Hils. 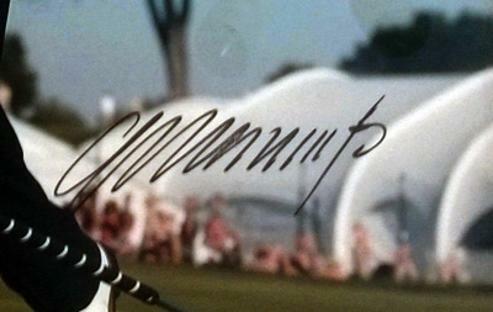 when he won his decisive singles match against David Toms. 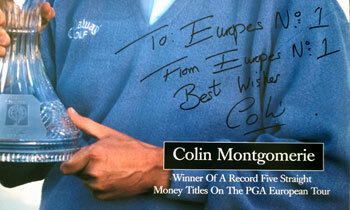 Number One European PGA Tour Golfer. 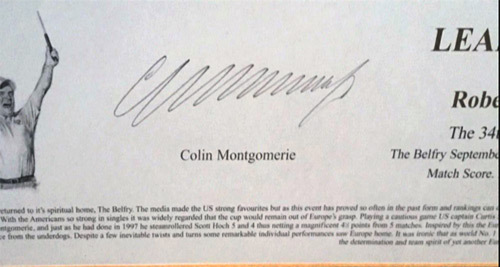 Poster measures 35" x 23"
Hand -signed message "To Europe's No. 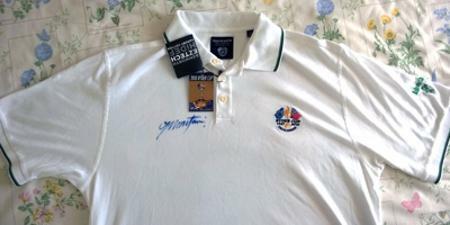 1"
refers to his sponsor Wilson Sporting Goods. 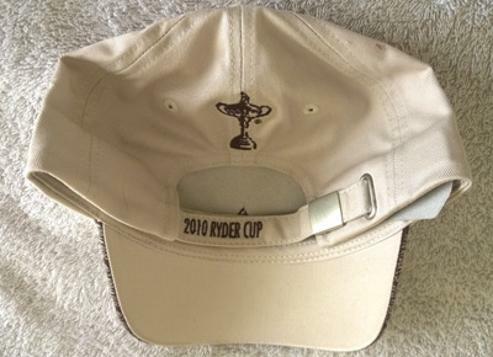 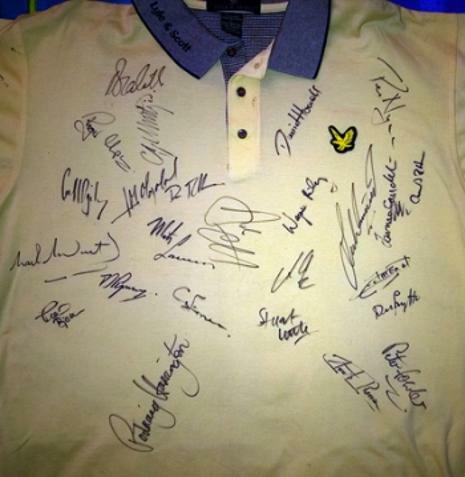 signed Official Ryder Cup Merchandise golf cap. 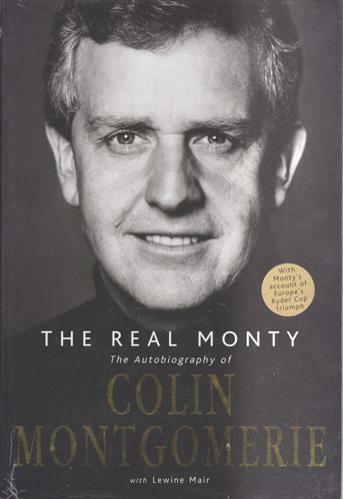 signed autobiography "The Real Monty"
+ Monty's account of Europe's Ryder Cup triumph at the K Club in Ireland. 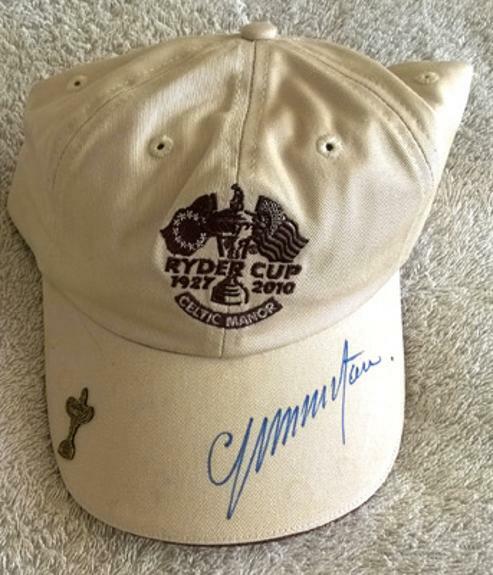 Signed as new Yonex 3i golf cap with tags. 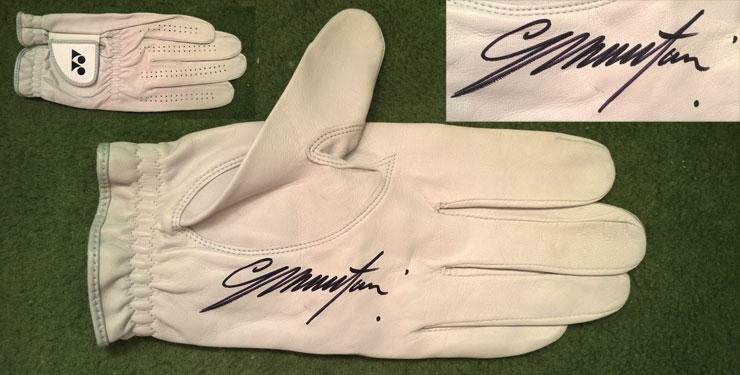 Signed 'as new' Yonex golf glove. 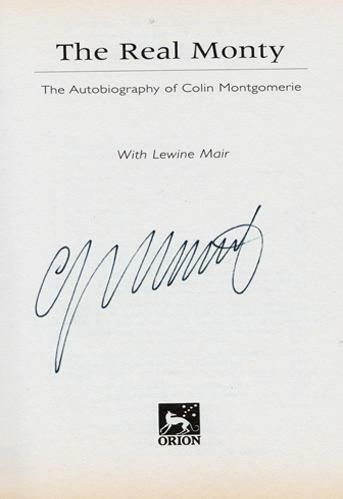 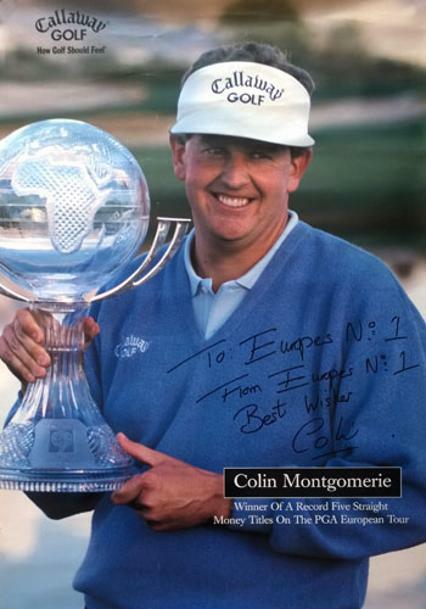 Welcome to the Uniquely Sporting Sports Memorabilia page for Colin Montgomerie golf memorabilia and Colin Montgomerie memorabilia, and other golf related collectables and Monty signed souvenirs for European Ryder Cup winning captain.